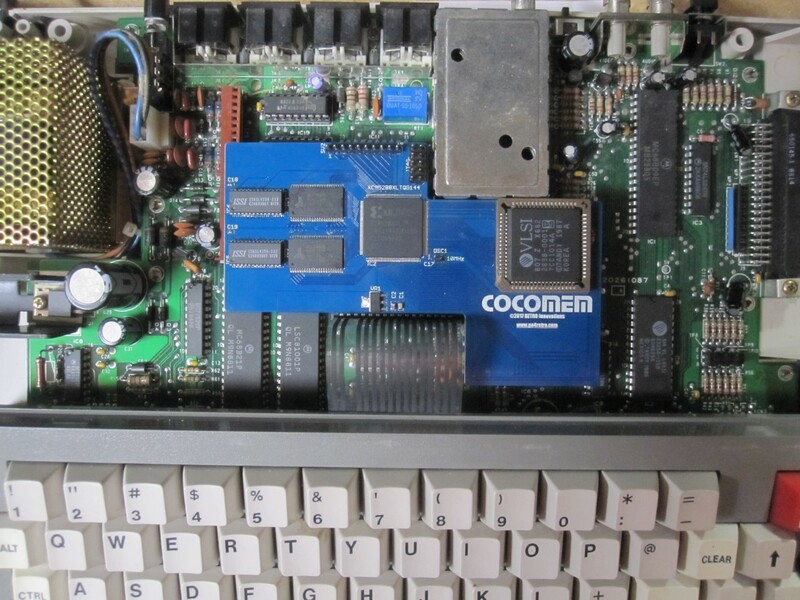 The CocoMEM memory expansion system for the Color Computer 3 comprises a single circuit board that plugs into the Coco3 GIME socket, with the GIME IC plugged into the CocoMEM circuit board. This allows the circuit board to capture all signals needed for complete MMU functionality without requiring any irreversible modification to the Coco3. To remove, simply remove CocoMEM and replace the GIME in the original socket. 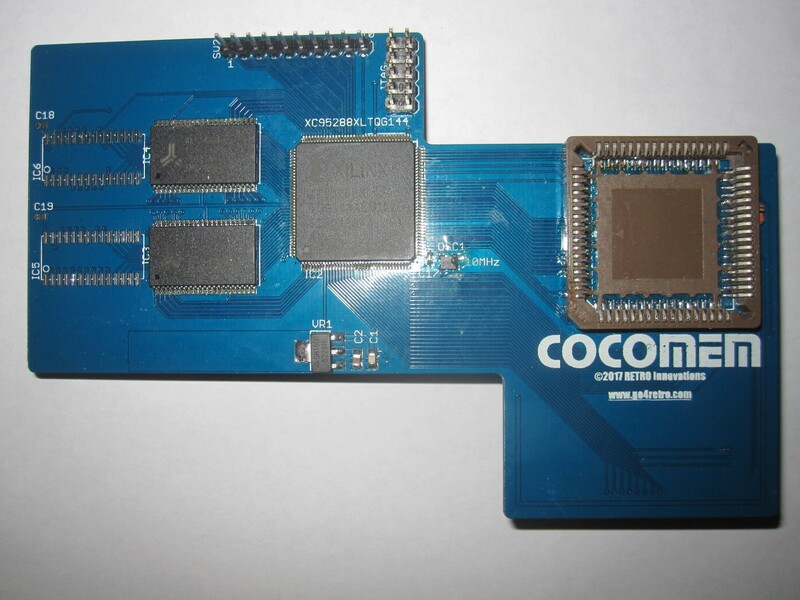 Existing memory in the Coco3 can be left in place (feel free to remove if desired), and no capacitors must be clipped or otherwise removed. No additional installation effort is required.